A luxury Yorkshire hotel has made a splash this week after its in-house Verbena Spa was named a finalist in the 2018 Good Spa Guide Awards. 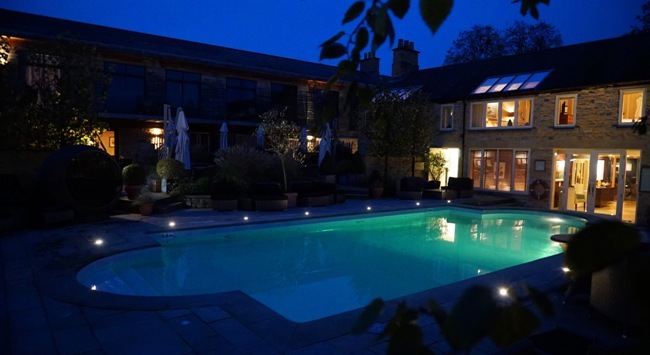 The Verbena Spa, situated at the Feversham Arms, in Helmsley, has been shortlisted as a finalist in the ‘Best Country Retreat’ category, and will now come up against some of the very best spas in the UK to claim the coveted accolade. The North Yorkshire spa has an extensive range of heat facilities including an aromatherapy room, salt inhalation chamber, saunarium, monsoon shower, foot spas and new rasul experience. In addition, guests can relax in the outdoor heated swimming pool and Jacuzzi. The spa’s therapists aim to make their guests feel revitalised with a wide range of signature treatments and naturally sourced products, including luxury brands such as Temple Spa and Jessica. Sponsored by Thalgo and in association with Temple Spa, the awards aim to highlight excellence in the spa industry. The overall winners will be announced at a Spa Life UK gala dinner at the Hilton Birmingham Metropole, on Tuesday, November 13.